Now that we’ve passed the month of March (Denver’s snowiest month on average) we’re hoping to avoid any more ‘Bomb Cyclones’ and enjoy the beautiful spring weather outdoors. With the consistent 60 & 70 degree days, you’ll want to make sure you don’t ignore your outdoor space any further and deck it out for the season. Take a look at our recommendations for the best way to spruce up your home’s outdoor space this spring. Spending a pleasant spring evening on your patio is one of the optimal ways to take in the longer days and warm weather. 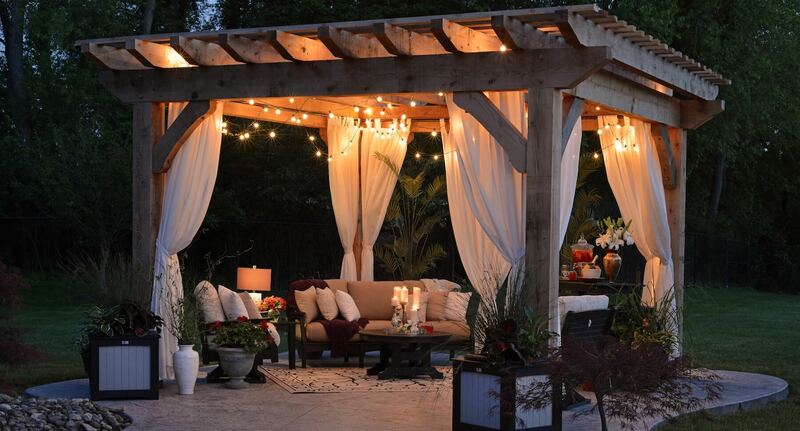 Update your patio this season for a prime entertaining space throughout not just spring, but summer and fall as well. First off, seating should be the priority of your patio if you plan on entertaining. Trade those old patio chairs for comfy plush cushions with cute throw pillows for a cozy patio hideaway. To contribute to your already pleasing aesthetic, hang string lights above or around your patio to add soft light after the sun sets. To top it all off, place a fire pit in the middle of your seating area for the perfect setting for fireside chats with friends. If you plan to go ALL out this spring, consider installing a stunning stone fireplace to enhance your space to the next level. No matter your gardening experience, while your planting spring flowers or produce this weekend keep in mind it’s always important to live a little more sustainably! If you’re not a fan of digging and weeding, grow your vegetables in recycled raised beds. You can find specialty beds made from a composite of recycled wood and plastic that will last you decades. Living sustainably not only helps the environment out but your wallet too. Reduce your water bill and usage by collecting rainwater with a rain barrel or urn and utilize a solar-assisted composter. No garden would be complete without a composter and this one operates on Colorado’s 300 days of sunshine to repurpose your table scraps into nutrient-rich plant food. It’s easy to put off decorating for spring after bearing the Colorado winter, but don’t ignore your outdoor space for too much longer! 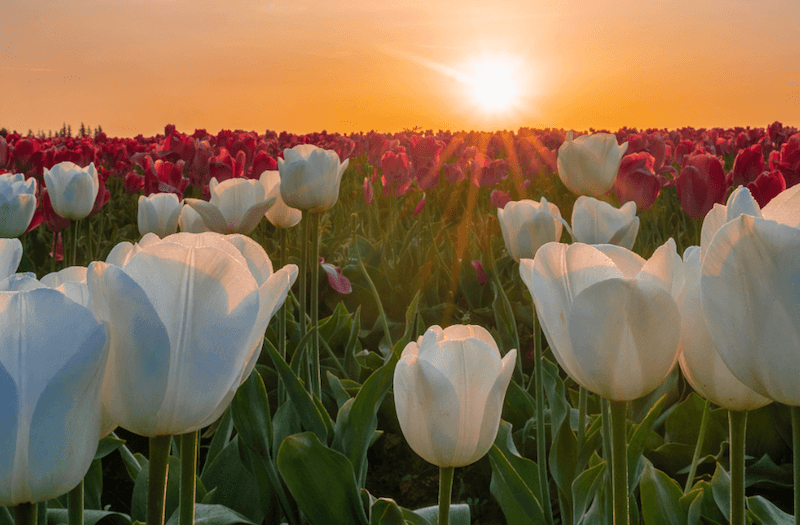 Hopefully, the warmer weather and Vitamin D give you the energy to spruce up your patio and yard with colorful spring flowers, an eco-friendly garden, and eclectic patio decor. What else do you plan to do to enhance your outdoor space? Let us know below!